live streaming of India vs England (IND vs ENG) 2nd T20 match is available on TRT. Feel free to watch England v India live score cricket 2017 on this page. Today, it is the first game of three T20I match series. It is scheduled to be played at Green Park in Kanpur and starts at 4:30 pm IST. England is on the tour of India for a 5 Tests, 3 ODIs, and 3 T20I matches tournament. The hosts won both the Test and ODI series by 4-0-1 and 2-1. 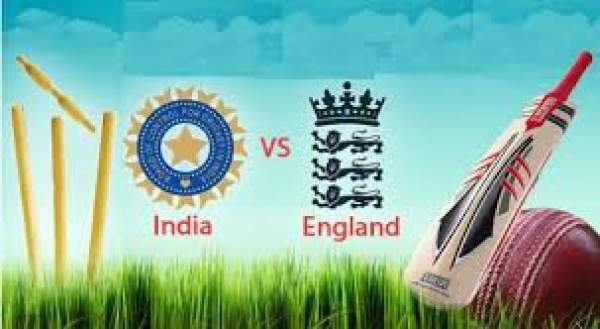 You can get India vs England live streaming and live cricket score updates too. The home ground would love to see Suresh Raina playing his best on Thursday evening. Preview: Not only, Suresh, but all the eyes will also be watching over six players namely Rishabh Pant, Mandeep Singh, Yuzvendra Chahal, Parvez Rasool, S Raina, and Ashish Nehra. They weren’t in the 50-over ODI squad. For this T20I series, Indian management has given rest to leading spinner Ravichandran Ashwin and Ravindra Jadeja. It will be interesting to see how Virat Kohli and rest of the team players play without their three leading spinners against England. Until today, both the teams have faced each other eight times in the Twenty20 international cricketing format. Out of those 8, English team has won five while the men in blue have won only three. In the three matches played in India, England has won two times and lost just one against the hosts. Watch: Australia vs Pakistan 5th ODI. Below are the details for the IND vs ENG live streaming online and watch on TV. The live stream India vs England can be watched online and on TV starting from 4:30pm IST by utilizing the following details. Stay tuned for live score, cricket commentary, match result, ball by ball updates, man of the match, and much more.